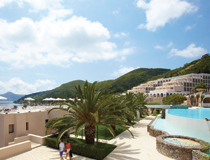 Corfu is the greenest and propably the best known of all the Greek islands. Just over 60km long and 32km wide, visitors can easily get to know this pretty island and enjoy its scenic countryside, long sandy beaches and rocky coves. 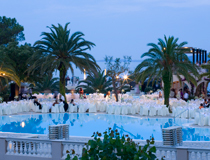 Our choice of wedding venues in Corfu takes in a varied range of options. 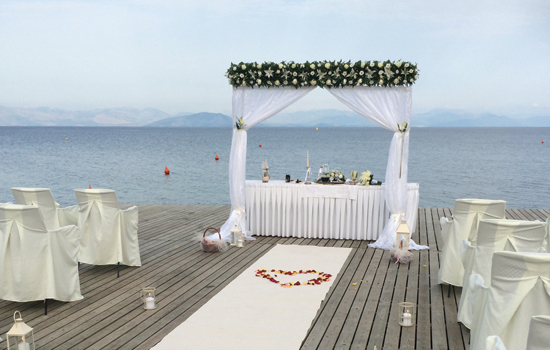 A very special day awaits all couples planning to get married at the Marbella Corfu Hotel. It starts with a morning visit to the Town Hall where the official signing of the registry takes place. Then later in the afternoon, a Greek priest (or a local official) performs a lovely wedding ceremony adding much local flavour to your special day - not least the chance to have some gorgeous photographs of you and your party standing on the terrace of one of Corfu’s most stylish hotels with the beautiful Ionian blue sea in the background. 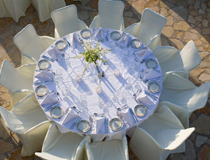 There are excellent opportunities for you to arrange your reception at the Marbella Corfu and all the final touches will be taken care of and discussed with you at the hotel prior to your wedding day. With plenty of time for you to relax before and after the big day, the personal service, elegant accommodation and panoramic setting of the Marbella Corfu Hotel, your wedding day and honeymoon here will be filled with unforgettable memories. Mon Repos Palace sits on top of Analipsis Hill in Kanoni. Built in 1826 by British Commissioner Frederic Adams who was married to a local lady, the small and pretty palace comes complete with stunning architectural features. 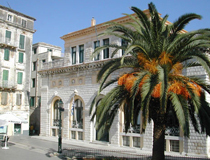 The legal procedure for weddings in Corfu is that the official ceremony must take place at a registry office and the actual location will depend on your preference and where you wish to stay. 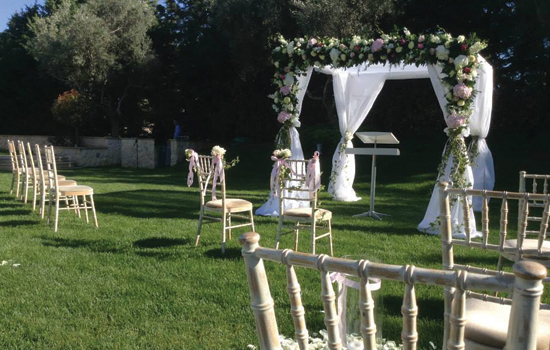 As it is a short, no-fuss service, many couples getting married in Corfu now take the opportunity to follow the official registry office service with a tailor-made ceremony at a venue of their choice. This could mean anywhere on the island (within reason), be it at your favourite hotel, apartment or villa, at a scenic spot or even on the beach of your choice. This follow-up service usually takes place late afternoon and can be conducted by a local official or even a Greek priest. 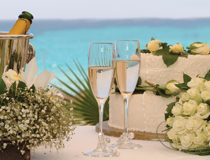 We will be able to suggest to you a variety of options for a cocktail party or more formal reception based on what you want, your budget and number of guests. 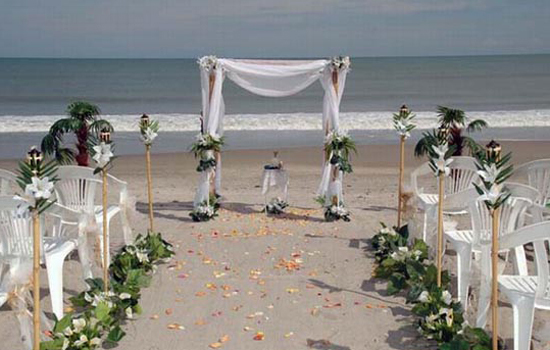 And we’ll also make recommendations for all your ‘finishing touches’ such as flowers, photographer, transport, etc. 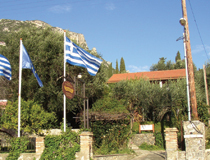 we can also recommend and organise your reception at a selection of excellent restaurants/tavernas in Corfu. 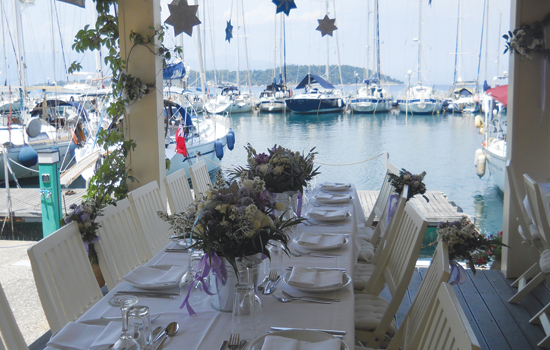 Located inside Corfu Old Fort and right by the waterfront, Corfu Sailing Club Restaurant is a fine venue for you to enjoy your wedding reception venue in the company of relatives and friends.